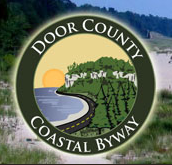 The kiosk is located at the entrance to the Necedah National Wildlife Refuge Visitor Center, and is accessible from northbound Headquarters Road, several miles north of its intersection with Wisconsin Highway 21, at or near N11385 Headquarters Road, Necedah, Wisconsin 54646. The marker is located at the Necedah Visitor Center. Follow the signs to the Necedah Visitor Center. Visitor Center in Necedah, Wisconsin.